The giving season is in full swing. As you check everyone off your list, don’t forget to take care of the one who makes it all possible—you! But what if there were a way to enjoy some “retail therapy” self-care while also embracing the holiday spirit? Impact investing allows you to do just that. By investing in Power2Peer’s solar microgrid initiative today, you help fund a cleaner, more sustainable world for yourself and future generations. Given the state of climate change and carbon consumption, there’s a lot riding on the success of clean energy. As you pick up a stake in cutting edge solar innovation for yourself, you can rest easy knowing that the people you care about most will enjoy a safer, more habitable planet thanks to your investment. Of course, your investment will not only help reduce carbon emissions and build more resilient power supplies. Supporting renewable energy innovation entitles you to the financial dividends as well! The success of green energy is a true win-win, for investors and the planet. An investment in Power2Peer is also an investment in the quality of life of millions who lack access to power. Power2Peer is committed not only to reducing carbon emissions globally, but working to provide microgrid energy to millions of households currently in the dark. From India to Sub-Saharan Africa, there is a strong demand for sustainable energy projects in places that have been left off the grid. 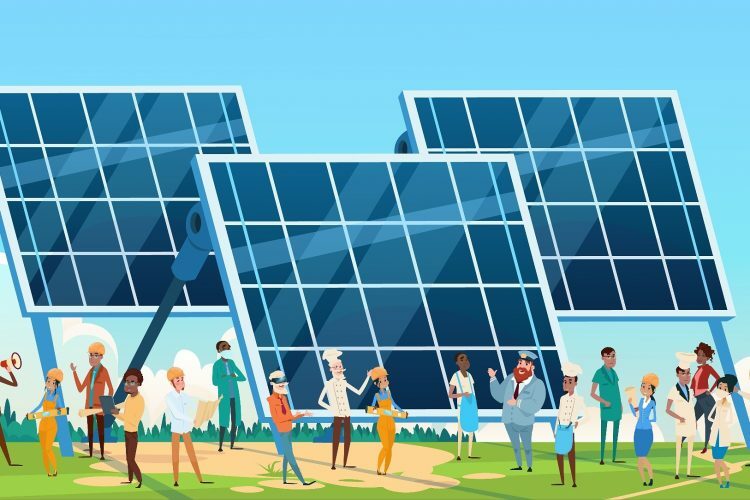 With Power2Peer’s advanced solar microgrids, communities can build resilient energy infrastructure for the first time, powered by the abundantly available energy of the sun. This holiday season, give something to yourself by way of helping others. With your support we can begin to undo the damage of fossil fuel consumption and preserve a healthy planet for our children. Invest in Power2Peer today, and give yourself the gift of a greener portfolio. Your return will consist not merely of dividends, but the priceless peace of mind that comes with doing your part to create a better world.